Errors in medicine have become headline news in recent years, and legal action against physicians for alleged malpractice in every specialty is an increasing problem in all industrialized countries. Radiology is not exempt from this phenomenon. Emergency radiologists must, therefore, learn how best to safeguard their practice against human error and champion processes that will prevent systematic flaws. Because emergency radiology is the "sharp end" of diagnostic imaging, established systems and human factors will make a palpable difference to outcomes in real-time, according to Dr. Paul McCoubrie, human factors advisor at the U.K. Royal College of Radiologists (RCR) and consultant radiologist at Southmead Hospital National Health Service (NHS) Trust in Bristol, U.K. Even so, many radiologists are set up to fail without their knowledge, and they must be vigilant about how the department is organized. 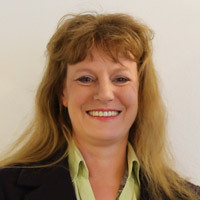 Dr. Paul McCoubrie is a consultant radiologist at Southmead Hospital in Bristol, U.K., and a regular columnist for AuntMinnieEurope.com. "Some environments are relatively medieval in terms of physical layout. Hospitals are happy to pay salaries and for medical equipment but may not automatically pay for a comfortable chair or an ergonomic desk, and they might not consider lighting or temperature as priority spending areas," he told ECR Today. It's necessary to address these basic conditions for safe practice with management, and keeping quiet is tacit compliance, according to McCoubrie. Radiologists must also crusade for a satisfactory workflow by assessing how well the department is organized with regard to layout and what roles are assigned to staff members. Consultation and reporting spaces are usually randomly allocated around a department, and this means that time is wasted when clinical colleagues come looking for the duty consultant. In addition, interruptions can trigger errors. The radiology department of the 3-year-old Southmead Hospital was designed with a separate emergency zone so that clinicians can always find the duty radiologist without interrupting other staff. In this way the duty radiologist keeps "traffic" away from the main department. Furthermore, the hospital also employs a coordinator as the point of contact for nonradiology personnel. The coordinator uses a telesales-type script to put calls through to the correct staff member. The creation of this role has reduced telephone interruptions by 50% for emergency queries about inpatients. "Some staff know who everybody is and where they can be found. When these seniors retire the department in question gets swamped with phone calls and visits," he said. "Two years ago, we studied the number of interruptions to the duty registrar, and the average was a call or visit every six minutes in a 24-hour period. Radiologists couldn't get anything done, especially during the daytime when interruptions peaked. The coordinator and the script were a necessity." The post of coordinator is funded during office hours Monday to Friday, and the service is now 25% more productive in terms of reporting, McCoubrie noted. He believes that improving efficiency by changing workflow and small modifications, such as providing comfortable desks, chairs, and work spaces, could go a long way toward solving staff shortages. He cited a cross-sectional survey sent by email several years ago that revealed poor ergonomic practice and occupational injury were widespread in the U.K.
"Good radiologists in bad environments will suffer from burnout. 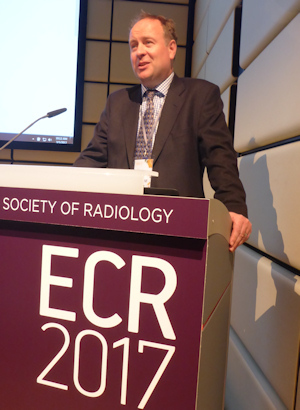 Happy radiologists in good environments will be highly productive, efficient, and ensure patient safety," McCoubrie said. "It only takes one radiologist to speak out for others to realize there is an issue." 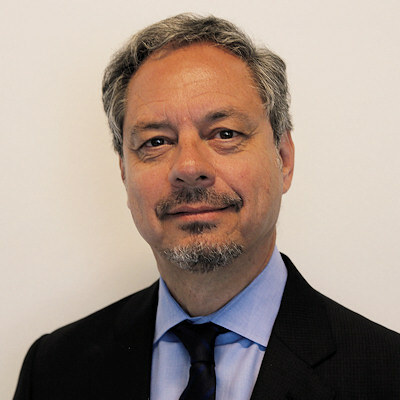 It is crucial to encourage a culture of safety within radiology departments where, in the event of a diagnostic error, medical staff can discuss it together, noted Dr. Antonio Pinto, PhD, emergency radiologist at the Cardarelli Hospital in Naples, Italy, and president of the Ethics and Forensic Radiology Section of the Italian Society of Medical Imaging (SIRM). "Greater openness and peer support, instead of blame, can help radiologists improve their performance," he said. Cross-table lateral radiograph of the abdomen. 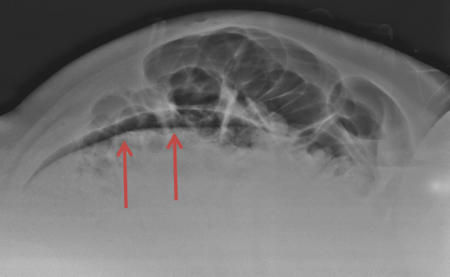 Evidence of a translucent image was not correctly interpreted as pneumoperitoneum. Image courtesy of Dr. Antonio Pinto. However, there is a high risk of malpractice claims in view of the need for a rapid diagnosis and the management of patients with whom radiologists have had no prior interaction and who, quite often, may be uncooperative or under the influence of drugs or alcohol. The imaging workup of patients with abdominal pain often starts with supine and upright abdominal x-rays and upright chest x-ray, and it is misinterpreting these images that is the main cause of diagnostic error in the emergency department, according to Pinto. He pointed to other factors contributing to missed diagnoses, such as a lack of relevant clinical information, inappropriate or insufficient x-rays, failure to perceive signs, and lack of knowledge. CT is a valuable tool in nontraumatic abdominal emergencies, providing greater accuracy than ultrasound or plain x-ray for identifying pneumoperitoneum, as well as for evaluating bowel pathology, and retroperitoneal and bony abnormalities. Yet failure to continue to search for subsequent abnormalities after identifying an initial one (satisfaction of search), multitasking, and increased workload all may play an important role in missed diagnoses on CT, he explained. Diagnostic errors can be reduced by correct communication of the patient's clinical history, comparison of the current images with the previous radiological investigation, and proper selection of the initial and subsequent radiological procedures, Pinto continued. Double reporting, equipment modifications to prevent accidental error, and regular dialogue between clinicians and radiologists also should be prioritized. While radiologists fear missing a diagnosis, this should be seen as a learning opportunity, both individually and corporately, and this requires a critical appraisal of practice through error meetings and the implementation of change, he added. 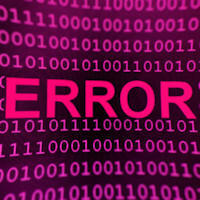 Only by uncovering and highlighting "error traps" can repetition of the same mistakes be avoided, and there is a need for accredited residency programs to actively organize such meetings, which should be viewed as integral to continuing medical education. His talk on errors in nontraumatic abdominal emergency will reveal a range of potential mistakes from the less severe to the more life-threatening, and he will provide tips on how to avoid the most common errors when diagnosing severity of disease and associated complications that could affect management and clinical outcome. 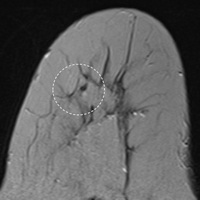 "Diagnostic radiology must aim for the complete detection -- and accurate diagnosis -- of all abnormalities. This depends entirely on perception and identification of specific image characteristics," he said. 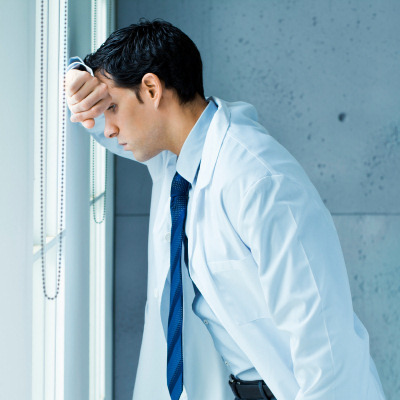 Radiologist burnout: Worse than we thought?